Megan Ellis is a Certified Metatronia Therapy Practitioner, an Usui Reki Master & Teacher, Angelic Intuitive, Artist and Ordained Minister. She currently lives on Lake Erie in Ohio, grew up on the East Coast in New Jersey and received her degree in Exercise Science & Sports Management with a minor in Nutrition from the University of Dayton. “Blue Angel Gems” is a part of The Intended Being, LLC founded by Megan in 2011. Megan Ellis, Blue Angel Gems, is a Lightworker that loves to create with her gifts given from The Divine and gifts offered by Mother Earth. She has been making jewelry since she was a young girl and has developed a wonderful relationship with gemstones over the years. The gemstones she works with “talk” to her and as they come together in a piece she hears their messages of Love, support, healing and growth from Angelic Beings of Light. These Beings of Light carry the loving, energetic healing frequency of the Divine. This energetic-light-frequency is then infused (or attuned) into every “pretty” she creates while also writing Angelic messages channeled through her to accompany each piece. Megan’s intention is to co-create more Love in the world by helping people learn to first love themselves. Each piece, be it jewelry, a natural/polished gem specimen, an essential oil blend and/or artwork, is blessed by this process. When you are drawn to a specific item pay attention! The Angels are calling out to you wanting to make a connection with you. Listen with your heart to hear what is being said and if you need help, ask Megan, as she can help you in many ways. Angel Intuitive: Whether creating jewelry, art, oil/elixir blends or doing Energy work, Megan receives guidance, information, sensations and visual messages from Angels. Personalized messages accompany all custom gemstone jewelry and custom oil/elixir blends as well as all energy sessions (Metatronia Therapy, Usui Reiki and “Charmed by Angels” sessions). Artist: All distance energy sessions come with a drawing of your session along with any Angelic messages. Most drawings are very colorful with an abstract feel but sometimes Heavenly Beings or realistic scenes are drawn. Megan just opens to the creativity as it flows. These drawings are then emailed for you to keep. Nutrient Advisor: Often the topic of Nutrition comes up in Angels’ messages. It is important for us to take the best care of our bodies (emotional, mental as well as physical) as we look to obtain our dreams. Currently generalized information is given as guided but more specific and personalized nutrient assistance is coming for those desiring through specialized consultations (Summer 2015). Megan studied Exercise Science and Sports Management with a minor in Nutrition from the University of Dayton. She is currently studying to become a Certified Food & Spirit Practitioner and to obtain her Juice Guru certification. 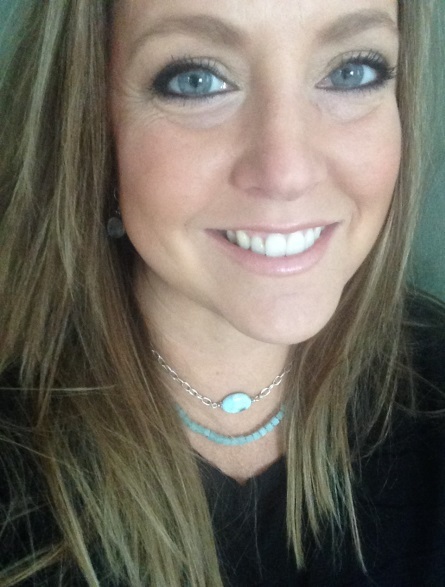 Gemstone Creative: Megan makes gemstone jewelry to support, inspire, comfort and protect. All jewelry comes with Angelic messages and all custom requests carry a personalized message for you or your loved one the piece is being gifted to. Gemstone Grid Kits are offered for specific desires, dreams and outcomes. Essential Oil/Elixir Blends: Megan uses doTerra Therapeutic Grade Essential Oils mixed with Gem-infused water to create elixir blends for assistance and growth on your ascension experience. Proprietary blends are offered for general purposes as well as custom blends for specific requests. Instructions are included with each blend and Angelic messages are included with custom blends. Light & Love Energy Facilitator: Megan is a Metatronia Therapy Master Practitioner and Usui Reiki Master & Teacher. All goods and services provided by Megan are infused with the frequencies of Love & Light through the highest level of integrity for those requesting. Energy sessions are offered in-person but most often facilitated through distance methods for greatest comfort and ease with scheduling no matter where you reside on Mother Earth. Blue Angel Gems "It Starts with a Spark"